Singing and drinking have gone hand-in-hand for a long time - since at least as far back as the 13th century. While singing in pubs is popular today in some European cities, it really hadn't taken root in the United States until around 2015 when two guys, Mike Engelhardt and Adam Reinwald, started their own company - Beer Choir. The company is dedicated to bringing choir to the public in a casual and fun way, while also supporting local businesses in the process. Choir and beer aficionados alike looked to Mike and Adam to pave the way for a new type of community singing. What no one expected was that this new outlet for singing could help community choruses recruit new singers, raise money for their organizations, and strengthen their choral communities. Unless you're a diehard Baroque enthusiast, the idea of a Bach choir may sound like a stodgy affair. But it doesn't have to be. 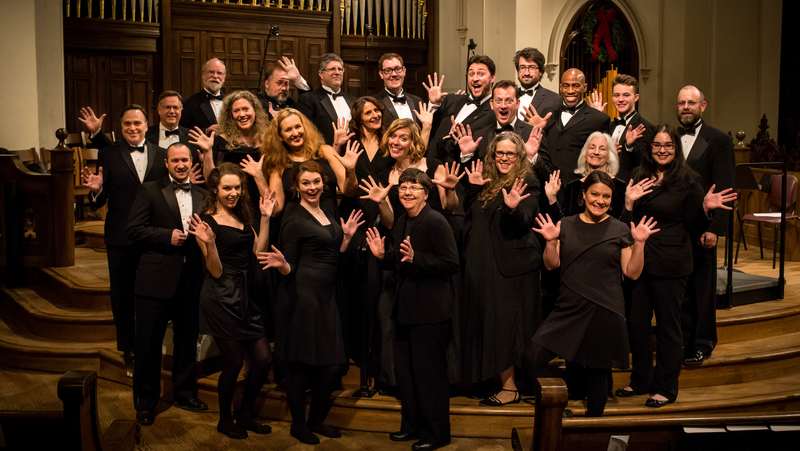 Bach choirs across the country are looking for ways to open up their organizations to the community, make choir more accessible and fun, while also bringing in money for the organization. The main fundraising event: Bachtoberfest. 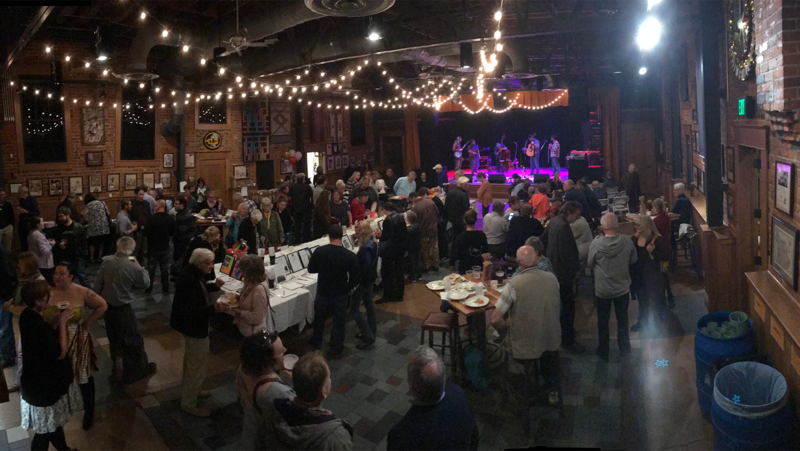 When you think about it, Bachtoberfest makes for the perfect fundraiser for Bach-centered organizations as there is a strong connection between Bach and beer. "In Leipzig, during Bach's lifetime, there were over 1,000 breweries in the city. Every pub was essentially brewing their own beer," Marlon Hurst, Artistic Director of the Kentucky Bach Choir, said. "Bach liked beer and sometimes received pails of beer as compensation for his musical works and performances." 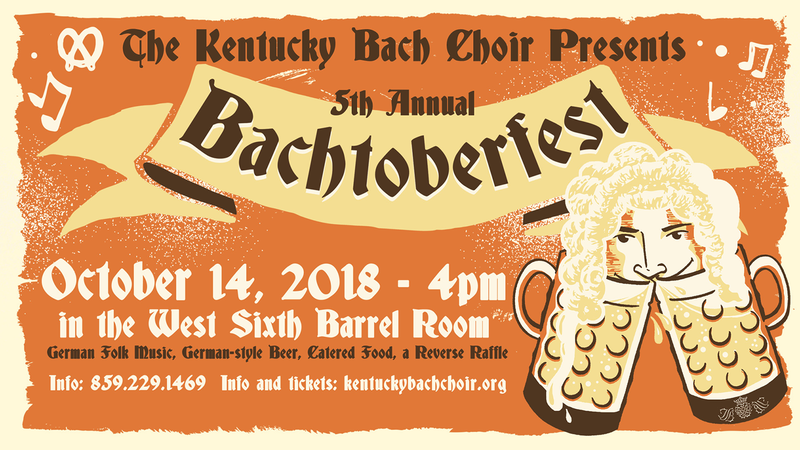 The Kentucky Bach Choir's annual Bachtoberfest is now in its fifth year. Drawing on the connection to Bach, they held their first event at Blue Stallion Brewing Company, a Lexington brewery that specializes in German beer. Hurst said. "We sell tickets to 75 people at $75 each. Each attendee receives German-style hors d'oeuvres, beer, and a ticket to our 'reverse raffle' with various giveaways and prizes. 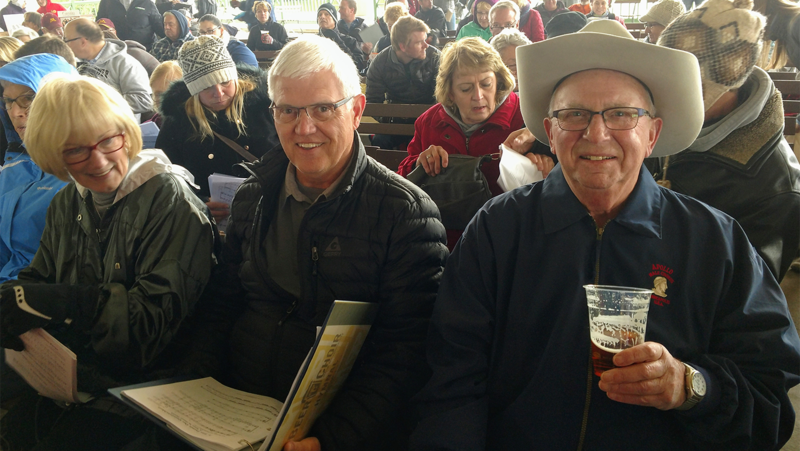 During the event, the Kentucky Bach Choir members perform German folk songs for the audience and we invite the audience to participate in a sing-a-long with German drinking songs." He continued, "We like to keep the event relatively simple. Come eat, drink, and listen to music." Every year, the event raises approximately $3,500, a fifth of the chorus's total operating budget! Meanwhile, the Kalamazoo Bach Festival just completed their 3rd annual Bachtoberfest event. I spoke with their Executive Director, Cori Somers, to learn more. "Three years ago, we didn't have any type of fundraising event to bring awareness to the organization other than our concerts," Somers said. "We were brainstorming ideas and ways that we could bring the community together. We really wanted something more casual and fun. That's how the idea of Bachtoberfest came about." The annual event takes a planning committee of 8-10 people to plan and organize. They are responsible for coordinating all of the logistics including booking a venue, soliciting donations for an on-site silent auction, and searching for local bands to play at the event. "We also ask our singing members to donate a bottle of wine for a 'wine pull' at the event. Most members are happy to do that," Somers said. The event takes place at Bell's Brewery and has around 175 people in attendance. In its first year, the chorus raised $5,200. And this year the event almost doubled that amount bringing in $9,800! 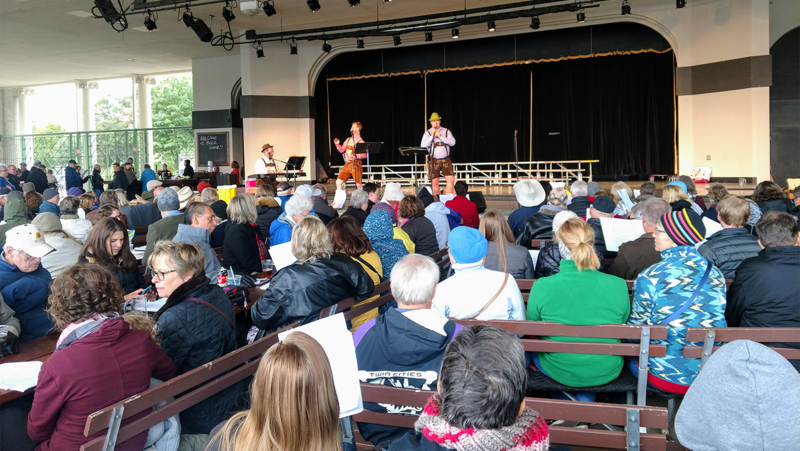 During Beer Choir's own Oktoberfest event this year, they offered sponsorship opportunities to various companies and choruses which included a table for promotional materials and the opportunity to perform. The Apollo Club of Minneapolis took them up on this offer. Aaron Humble, Artistic Director of The Apollo Club, said, "We have actually recruited a number of singers from beer choir events over the years. This year, we decided to perform at Beer Choir's Oktoberfest event in an effort to find like-minded singers interested in joining." He continued, "There were about 600 people in attendance and we had someone contact us the next day to audition!" 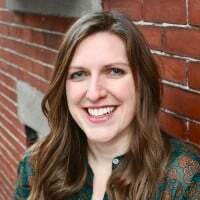 "What's really great about beer choir is that it gives community members an outlet for some form of artistic expression without a big commitment. The stakes are lower because it's a sing-along. If they are out singing and having a good time, then when they hear a chorus perform, they might also think 'this could be the next step for me - to sing in an organized setting,'" said Humble. Kalamazoo Bach Festival also uses beer choir events as a means of recruitment. Somers said, "We have hosted a variety of beer choir events with our own repertoire spanning from musical theatre to Disney to The Beatles. Beer choir is amazing because it brings out both singers and non-singers. It brings people who used to sing in the past but haven't in a long time and it's great to see the cross-generational ages that come out too. They get to sing in a really comfortable and casual environment - it takes the pressure off - and our Music Director is able to hear voices and make connections with potential singers. We've recruited quite a few singers through these beer choir events." 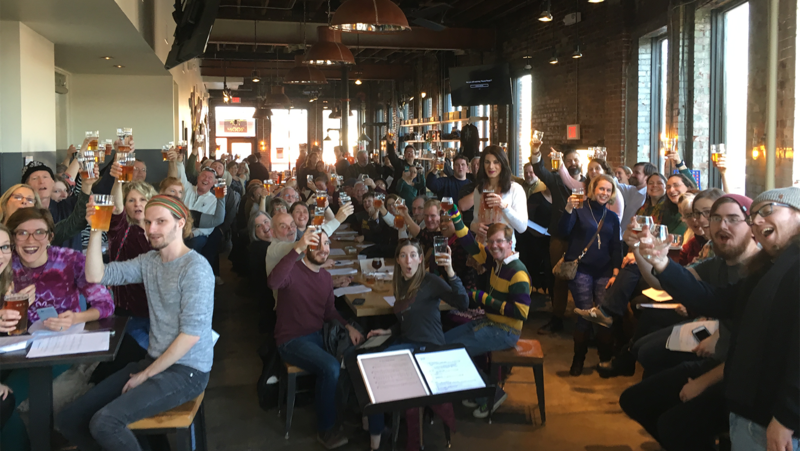 Another potential benefit of community choruses participating in beer choir events is simply the exposure and the opportunity to sing to new audiences. "It's funny... at beer choir events, when we perform, the participants response is really wild. They cheer and scream as if they were at a rock concert!" Humble exclaimed. "We had some great marketing and promotional materials at the event and we sold a lot of Apollo-branded beer mugs and shot glasses. It is my hope that this event will bring in new audience goers for our future performances." Beer choir is a completely different beast from your run-of-the-mill choral performance. And maybe that's a good thing! Humble explains, "When I program a choral concert, I always want to challenge the audience in some way. I try to put them through the paces a little bit so that they can have an emotional experience." He continued, "But with beer choir, it's just fun. It's lighthearted and there isn't really a serious or poignant message... and that's okay. Everyone walks away smiling." Jeremy Warner, based in Memphis, TN, learned about Beer Choir at an ACDA Conference in 2017. It immediately reminded him of his time living abroad in Europe where it was commonplace to walk by bars and pubs filled with folks singing folk songs and drinking local beer. 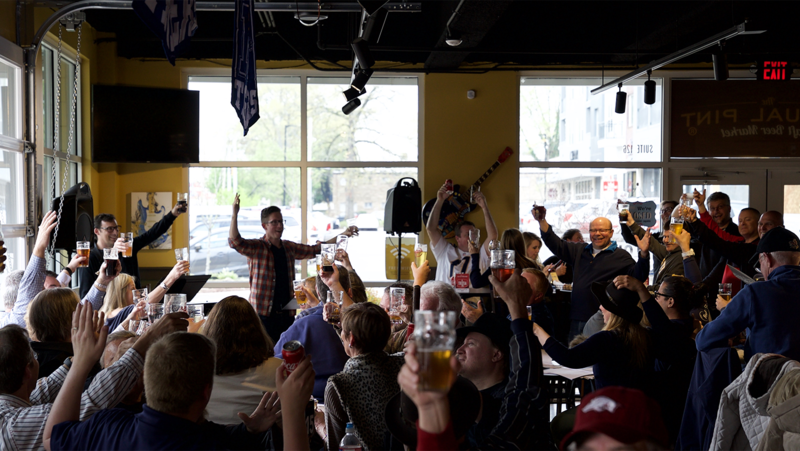 He's the Beer Choir chapter leader in Memphis and has since also founded a new organization called PubSing in hopes that the open concept could serve an even larger swath of the community. Warner curated folk songs and drinking songs from the around the globe and personally arranged then into an easy-to-read songbook in efforts to be as accessible and inclusive as possible for every level of singer/non-singer. "We do PubSings about once a month. We don't currently charge admission and while no person is required to sing, we do encourage them to 'be present'. We turn off the bar TVs and we push tables together to help facilitate open conversations," Warner said. "Our current social culture has become so polarized in part because people stare at screen-echo-chambers and have stopped talking to each other. Beer Choir & PubSing events are a perfect opportunity for me to encourage connection, conversation, and real community. I've seen people who I like to think would have never met in any other life circumstance - and here they are at the event engaging in conversation and beginnings of what I hope will be future camaraderie. For me, it's all about this connected community." Another component of Warner's mission is to further build the community by supporting local businesses. He said, "Our events can often bring several thousands of dollars into the local breweries and pubs and it's my hope that the attendees will also patronize the venues outside of our time together as well. We are sure to hold events at a variety of venues to mix things up and grow our new community." Somers, Hurst, and Humble all agreed with this sentiment. Hurst said, "Apart from raising money for the chorus, the Bachtoberfest event helps us build a community between our choir members and our audiences. Through the event, we also support local businesses and build our partnerships and exposure in the community." "Other than having a great time, our singers get time to meet each other without having it be a whole orchestrated ordeal. They also get the opportunity to sing with singers outside of the chorus," Humble said. Somers agreed, "The biggest benefit of beer choir is really the sense of community and spending time together outside of the chorus. Our members enjoy their social time and it builds the camaraderie of the group."